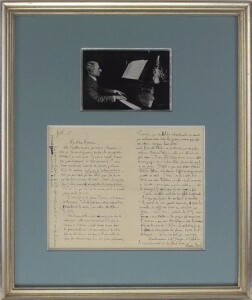 The world of signed letters, signed documents, autograph signatures relating to music is the most international of all the fields of autograph collecting. 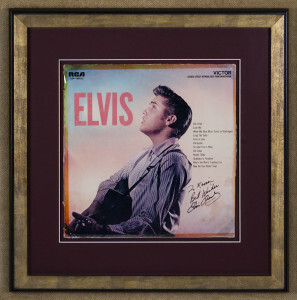 Every culture listens to the music of the Western world, and collectors everywhere seek to possess something by the geniuses who have made the music that enriches our lives. 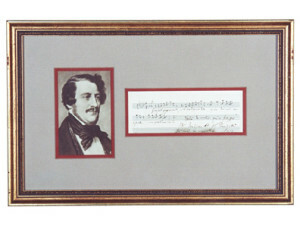 The rarity and availability of autograph signatures and signed pieces by composers is as varied as their music. 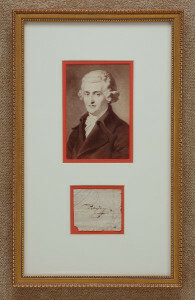 Signed letters of Wolfgang Amadeus Mozart are a once in a lifetime occurrence, and his autograph musical notations are approaching that degree of rarity. 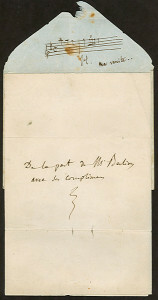 Only slightly less rare are signed letters of Ludwig van Beethoven. 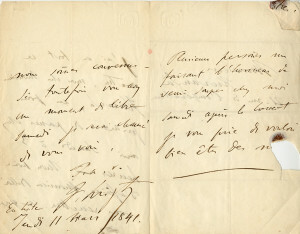 Frédéric Chopin's early death at the age of 39 contributes to the rarity of his signed letters which, like those of many other composers, have been collected by institutional libraries and museums for decades. 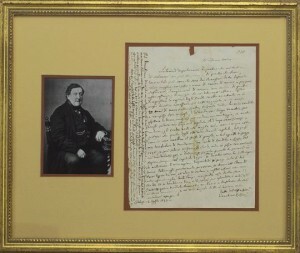 Giacchino Rossini's long life and great popularity have made his letters much less rare, and while the composer of William Tell is in significant demand, his signed and autograph pieces can be found. 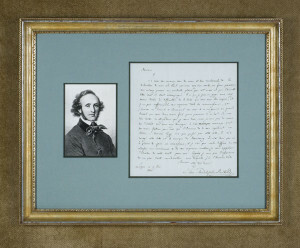 Despite Felix Mendelssohn's relatively short life – he died at the age of 38 – he enjoyed considerable fame and popularity during his lifetime, and wrote and signed many letters, which everyone saved. 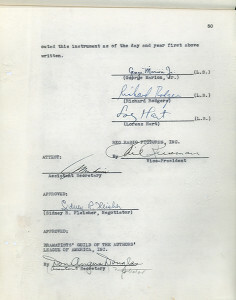 His signature is very clear and there is no question who signed. 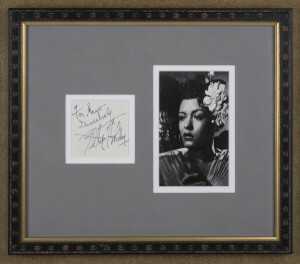 The demand for his autograph signature and signed letters is balanced by the number of pieces that have been saved and treasured. 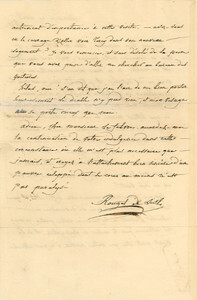 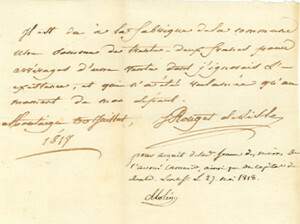 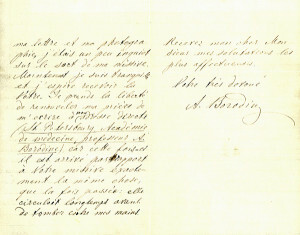 Franz Liszt, who enjoyed a long life and great popularity, wrote many letters providing the modern collector with the opportunity to obtain fine examples of his autograph signature at reasonable prices. 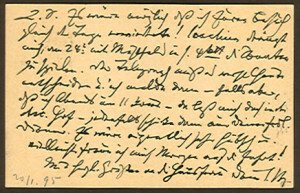 Richard Wagner [see separate listing - Lee Goldberg: put the citation in here to go directly to that page] was enormously popular during his lifetime. 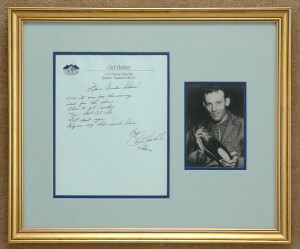 He wrote many autograph signatures and signed letters, and the collector today benefits from these pieces having been treasured and saved. 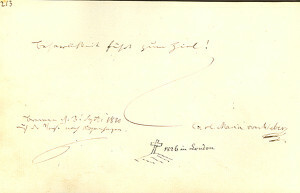 Johannes Brahms is much scarcer in autograph signatures and signed letters, and is equally popular; according, he has become quite difficult to find. 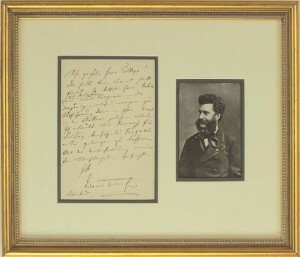 Johann Strauss the younger, popularly known as “the Waltz King,” is not nearly as common in autograph signatures and signed letters as one might imagine, given his great popularity during his lifetime and the decades since. 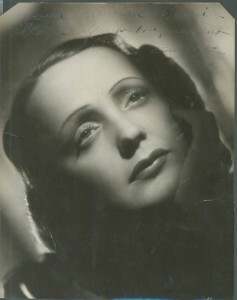 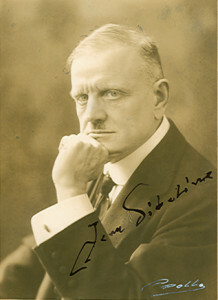 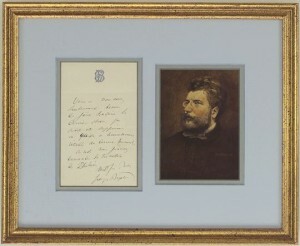 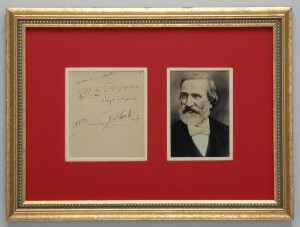 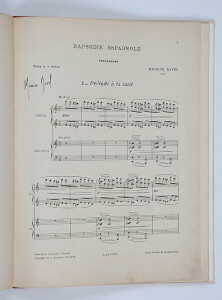 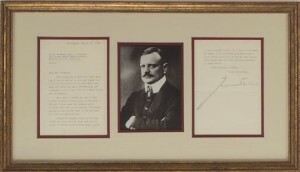 The autograph signatures and signed letters of the great Italian operatic composer Giuseppe Verde were sought after during his career, and have been treasured since. 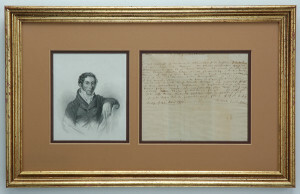 He lived a long life, and has always been very popular among collectors of autograph signatures and signed letters, which are usually of a social nature. 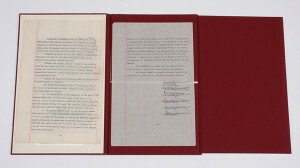 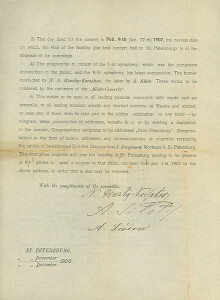 The great and popular Russian composer of this epic, Peter Tchaikovsky, whose ballets are still among the most popular in the world, is rare in signed letters as well as autograph signatures. 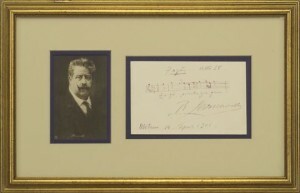 The French composers Claude Debussy, Camille Saint-Saëns, and Maurice Ravel are available in autograph signatures and signed letters. 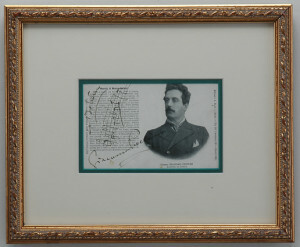 More popular in contemporary operatic performances and among collectors is Giacomo Puccini. 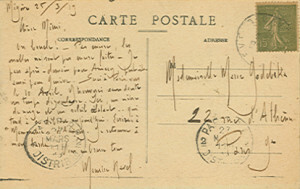 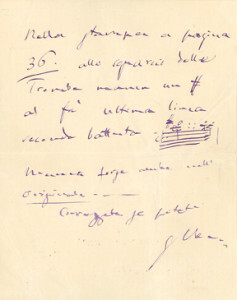 Puccini’s long life span and his enormous popularity, both during his lifetime and in the decades since, have ensured that his signed letters would be saved. 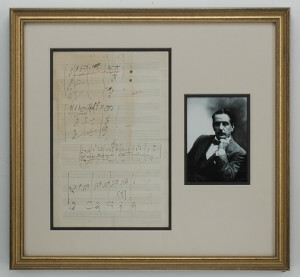 Puccini's admirers have very actively collected his signed letters, and though it is now rare to find letters with the emotional and musical content that were available several decades ago, fine examples of his autograph signature and signed letters can be found. 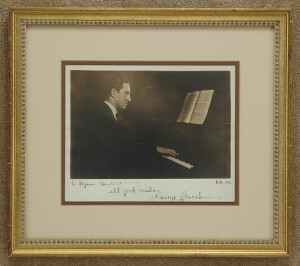 George Gershwin's popularity has soared in recent years and, despite his popularity during his lifetime and in the decades since, his autograph signature and signed letters are not common. 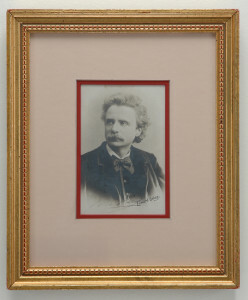 This is largely because of his relatively short life span. 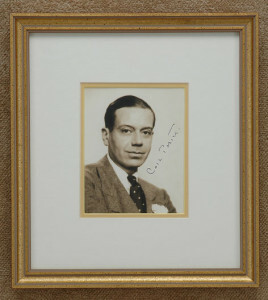 Cole Porter is also very scarce and the demand for his autograph material is far greater than the number of pieces that come onto the market. 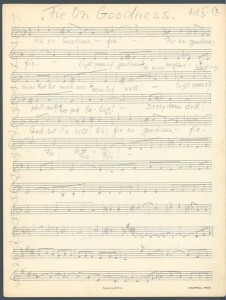 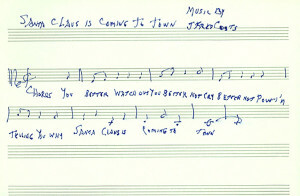 Irving Berlin did not give his autograph very commonly, but his long life span has ensured that there are autograph examples for his admirers. 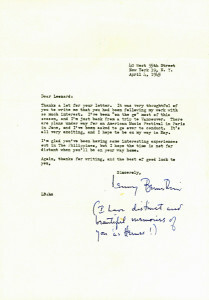 Leonard Bernstein was generally willing to give his autograph signature, and his signed letters are equally available on the market. 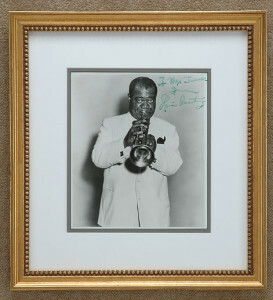 Duke Ellington was also very willing to sign autographs and fine examples can be obtained. 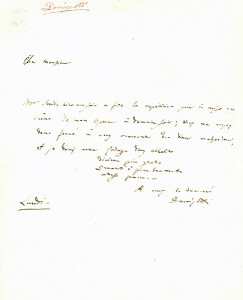 Price: $4,500 French composer of “Symphonie Fantastique.” Autograph Letter Signed, H. Berloiz, one page, small octavo, n. d. To Lindan. 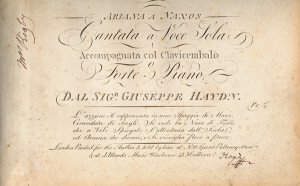 “Here are two seats for the concert Sunday. 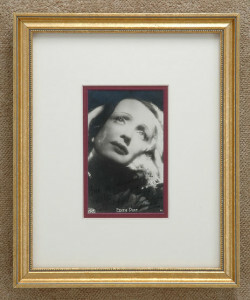 Do try to come.” Framed in sand, dark brown and gilt with a portrait photograph. 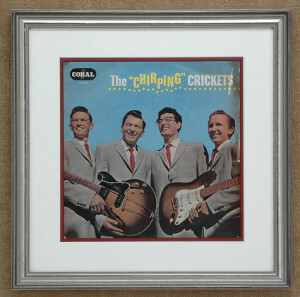 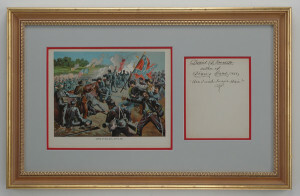 Framed dimensions: 13 inches wide by 10 inches high. 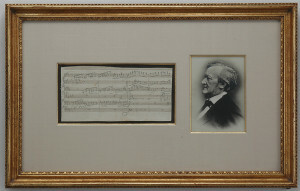 Price: $450 American composer and conductor. 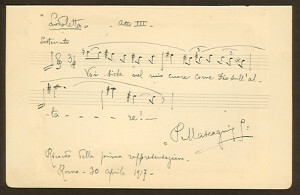 Half-length postcard Photograph of the maestro conducting, Signed across the light portion of his image. 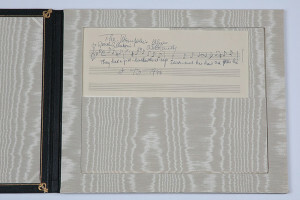 The black and white photograph of Leonard Bernstein measures 6 inches wide by 4 inches high. 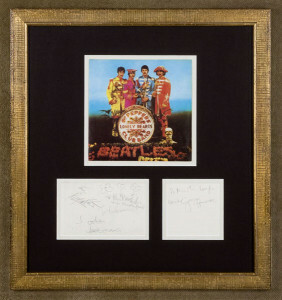 Price: $12,500 Member of the Beatles. 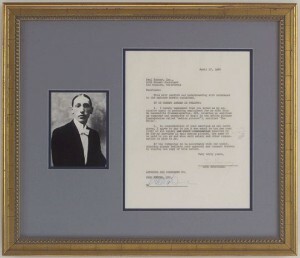 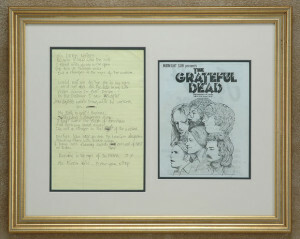 Full-length octavo-size printed photograph of Lennon with Paul, George and Ringo, boldly signed by John Lennon above his image. 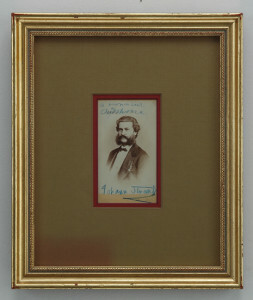 Framed in sand, charcoal and gilt measuring 10 ½ inches wide by 13 inches high.